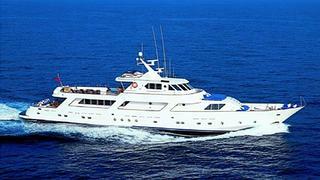 Word reaches me that motor yacht Ava is back on the brokerage market. This classic motor yacht is a 40.2m CRN built in 1976, and according ABYS is 'a magnificent vessel maintained in excellent condition, with stunning amenities'. Ava is a full displacement motor yacht built in steel and displacing 250 tonnes, she is MCA compliant, has five cabins accommodating 11 guests, and has a commercial registration and special certification which allows for 49 guests on board. She had new 770hp engines fitted in the year 2000. She is asking €4,950,000.